Democratic lawmakers brought a border security briefing at the White House to a screeching halt Wednesday, refusing to even listen to Homeland Security Secretary Kirstjen Nielsen, a White House official tells The Daily Caller. The White House official told TheDC that both Pelosi and Schumer refused to hear out Nielsen’s briefing and instead advocated for two solutions to end the government shutdown. Neither of the Democratic options would provide the additional funding for border security requested by The White House. “Democrats in the room either don’t care that there is a humanitarian crisis on the border or just prefer ignorance. It was incredibly disheartening that they don’t want to know the facts when making policy,” DHS Spokeswoman Katie Waldman said in a statement to TheDC. Representatives for Pelosi and Schumer did not respond to requests for comment. 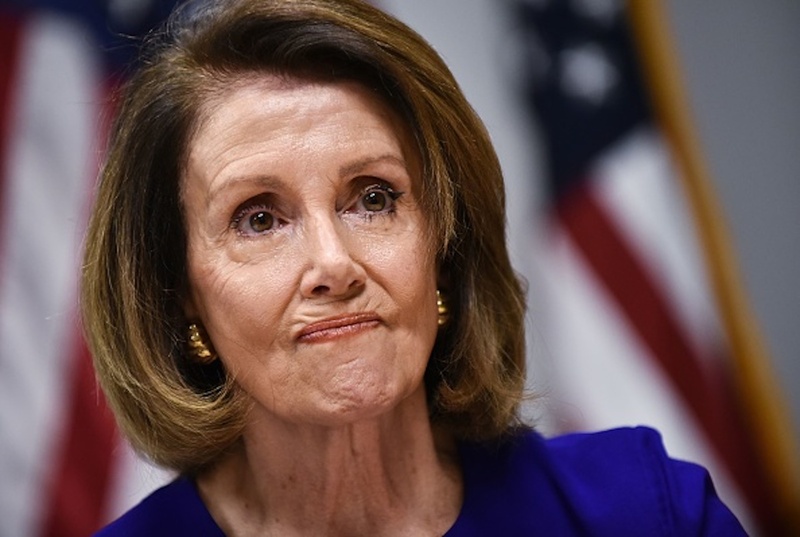 Pelosi told reporters after the briefing that she would continue her stated plan to have House Democrats pass legislation to re-open the government without any of the White House’s demands. Nielsen’s briefing to lawmakers was meant to highlight the impact of the growing migrant crisis on the southern border. White House officials believed the educational brief would help convince the Democratic leaders that funding for a physical border barrier is necessary. The Democrats refused to hear that brief, the White House official says.